These fluffy pillows were SO delicious! 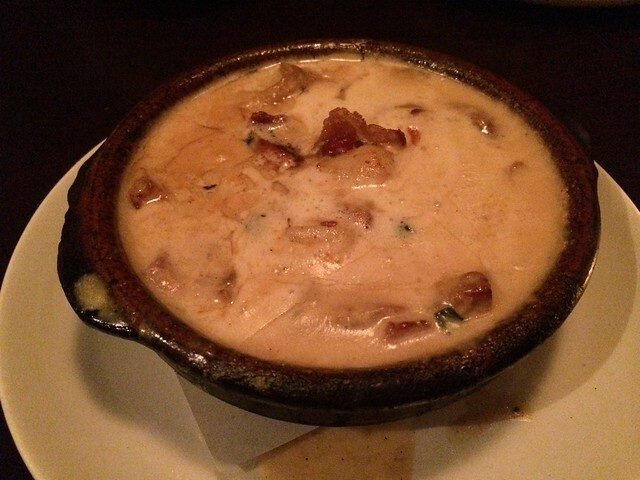 I also loved the warm, comforting sauce and mushrooms. I was surprised when this came out and it was almost a thick soup. 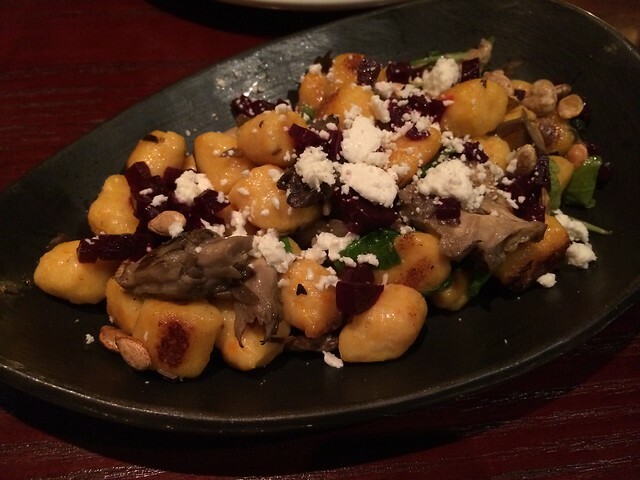 When I read gnocchi, I thought it was gonna be a dry pasta dish. It’s pretty great that chefs can prepare food in so many ways. 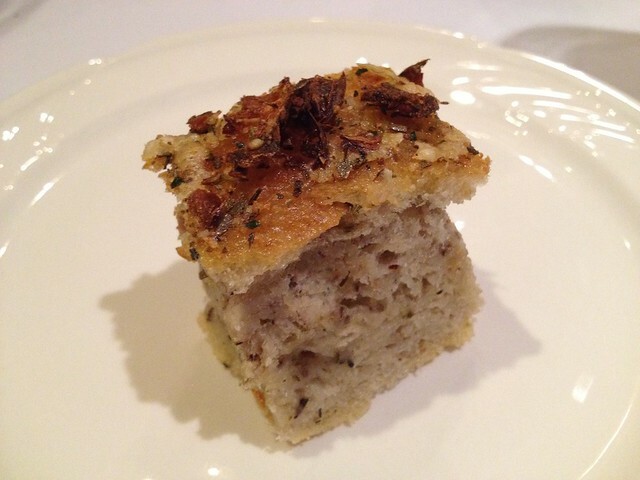 This dish was super rich and hearty, but it wasn’t my favorite. I’m not sure that I liked the gnocchi as a soup after all. These were really good and earthy tasting with the pumpkin and maitake mushrooms. I think maitakes are some of my favorite mushrooms because they have a wonderful texture and flavor. 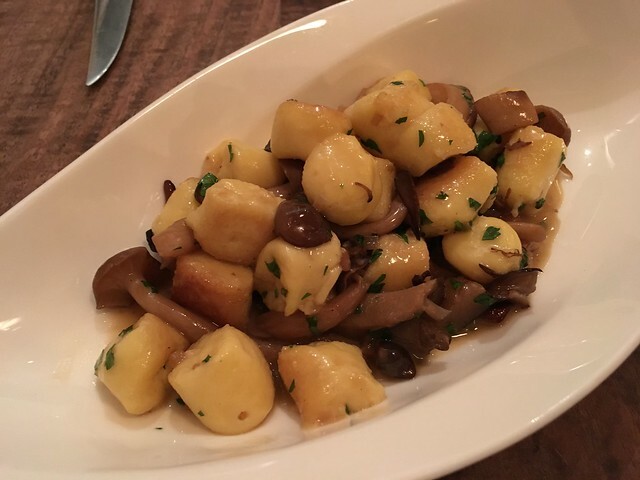 The gnocchi was a bit on the soft side but they were still nice and airy. And I could have done without the toasted pumpkin seeds though. 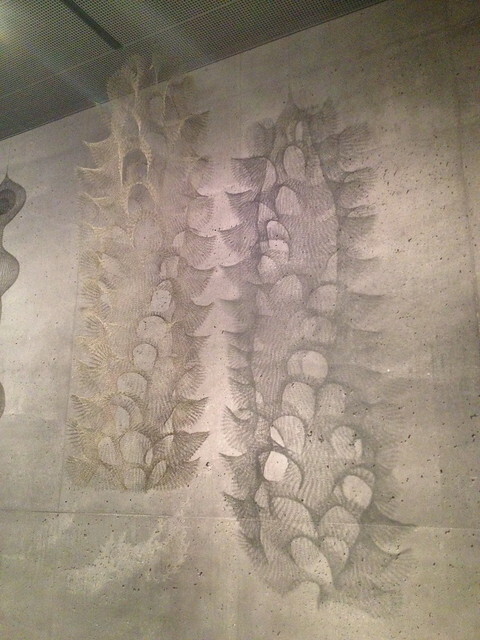 Contours in the Air sculptures, Ruth Asawa, de Young Museum. Is it just me or does this look like barf on a plate? The presentation is a joke! I should have known not to order this when the the title and description of the dish had contradicting information – roasted or braised chicken? I didn’t enjoy this dish one bit. The sauce was disgusting and tasted like it was out of a can. For some reason I imagined a substantial piece of chicken, not mutilated bits thrown in with the random veggies and gummy gnocchi. 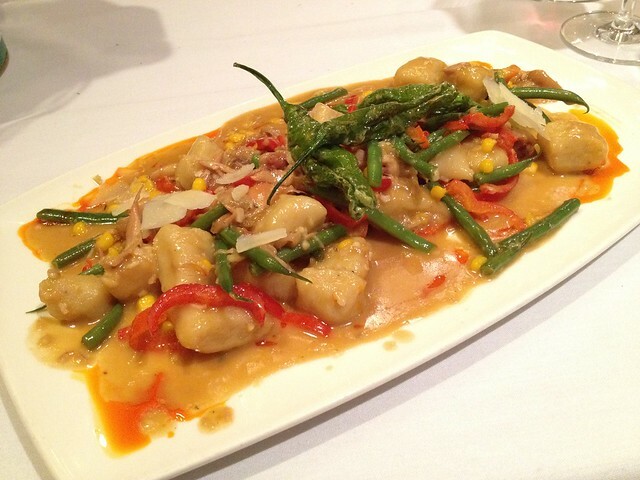 They should advertise this dish as their buffet leftovers gnocchi plate, seriously. As a whole, this meal was a disaster and I would not recommend this place to anyone. The service was horrible and the food was marginal. Argh! 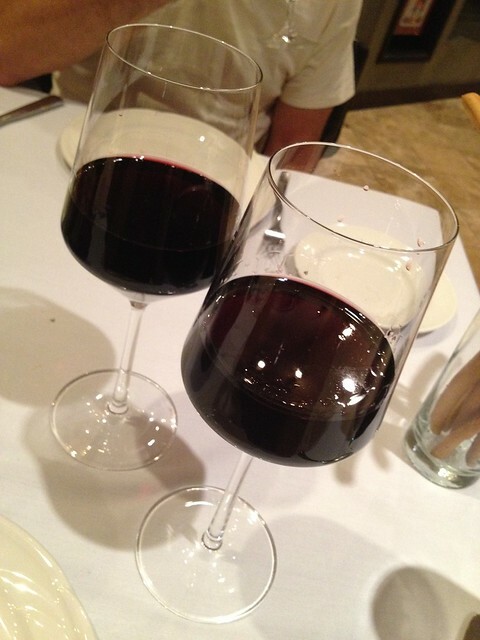 These wines were decent, but honestly their wine menu is definitely lacking for a “high end” restaurant. 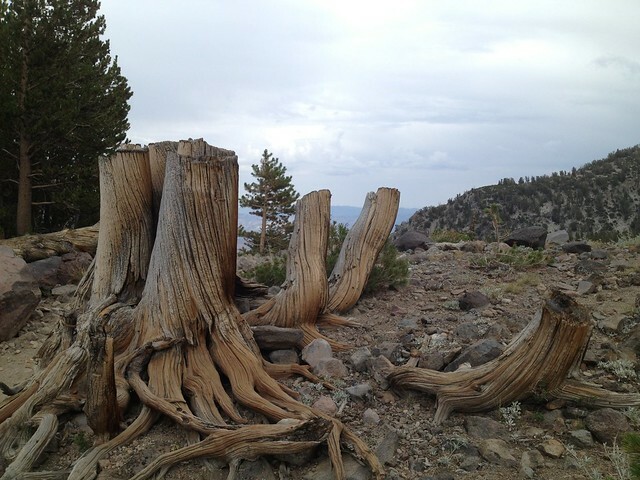 Chopped tree trunks, Mount Rose Summit Trail.